The Lebanon Wilson County Chamber of Commerce Sports Council Division held the Best All Around Student Athlete Awards Luncheon at Cumberland University’s Baird Chapel on May 11, 2018. One male and one female athlete from each high school in Wilson County were nominated by their Athletic Director, Coach, or Principal. Students are nominated for their outstanding academic and athletic qualities. From the nominees, one male and one female were chosen to receive a $1,500 scholarship to the school of their choice. A Committee was chosen to review the scholarships and make a decision on specific qualifications. Ashley Foster and Noah Mulaski were selected to receive the $1,500 scholarships. 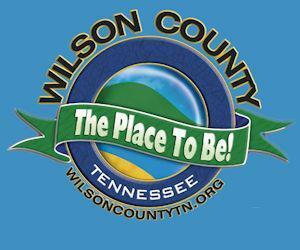 The scholarships are funded by the Two Rivers Ford Open Bass Tournament hosted by the Wilson County Sports Council. The guest speaker for the event was retired NFL player Craig Colquitt. Born in Knoxville, Tennessee, Craig is a former American football punter who spent eight seasons in the National Football League with the Pittsburg Steelers and the Indianapolis Colts. He was a member of two Super Bowl Champions with the Steelers in 1978 and 1979. He is the father of two current NFL punters, Dustin and Britton Colquitt. He and his sons played football at the University of Tennessee. This event is held annually and is open to the public. Sports Council Vice Chairperson Adam Maxwell, Lebanon Wilson County Chamber President and CEO Melanie Minter, Noah Mulaski, Ashley Foster, Lebanon Wilson County Chamber Chairman of the Board J.B. Owens. Baylor Franklin, Dawson Perry, Marcella Gallione, Brittany Ellmore, Hailey Pittman.